SILVER SONIC high performance audio cables were designed to provide the highest level of sound quality possible. By combining the finest materials available in electrically efficient, noise canceling geometries, Silver Sonic cables are the most transparent way of carrying musical signals between audio components. Manufactured in the USA, SILVER SONIC audio cables utilize a synergistic combination of silver and oxygen free copper conductors, advanced dielectrics, and vibration damping materials for superior performance. For over 21 years Esoteric has created and delivered superior audio and video equipment for the most enthusiastic audiophiles. It’s corporate philosophy, “The joy of the highest levels of musical elation,” serves at the cornerstone of all production activities. 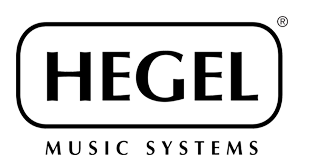 It is Integra’s passion for the best in audio and video performance and quest to design the most user and integration friendly products available that keeps it at the top. Within three generations Integra established the most comprehensive authorized network of audio-video specialists around the globe and today remains the most sought after brand in the CI channel. Whether on disc or as a digital download from the Kaleidescape Movie Store, Kaleidescape brings together all your movies in a visually stunning library making it beautifully simple to access and enjoy movies that truly matter to you. When you’re in the mood for something new, our Store offers thousands of titles-with new movies available in Blu-ray quality often weeks before the title becomes available on Blu-ray disc. RowOne® is an established name in home theater and home entertainment seating, with a strong reputation for high quality, luxurious comfort, and innovative technology-driven designs. UNITED LEATHER USA. Based in Dallas, Texas, has been designing and manufacturing beautiful custom leather furniture since 2002. Cinema seating is only a small part of United Leather’s extensive portfolio of home and office seating. Every piece is made-to-order with the same quality and craftsmanship of the cinema line.